Congratulations to Miss Proud of Year 9 at St. Stephen's International School, Bangkok. She participated in the FEI World Jumping Challenge #1 and Horse Open 2017 at the Royal Horse Guard Max and Win Arena in April 2017. 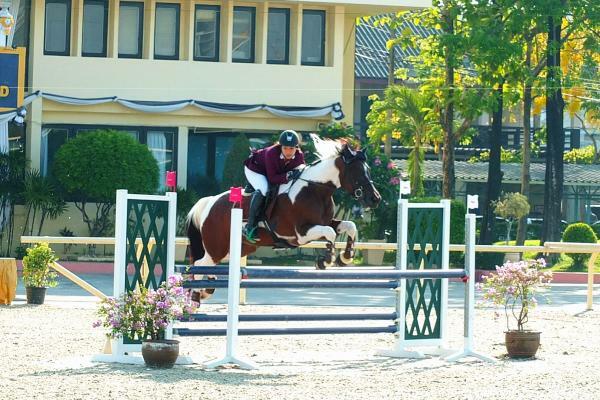 She came second in the warm up FEI WJC Category C and won the Max Win Open 100-110 cm event.